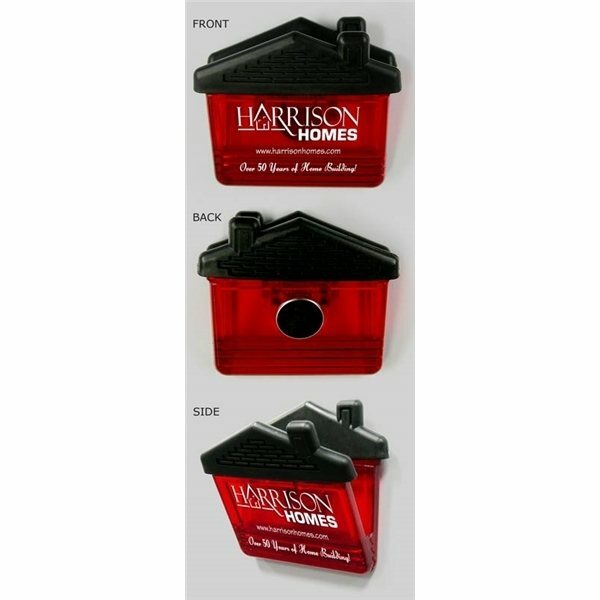 House (Red) - High intensity magnet clip in a fun shape. We tried this item as a freebie for our camping store promotion and guess what?! It was a hit! I have been very impressed with the employees from Anypromo that assist me. Would have loved logo to be bigger but it looks great. Imprint space is nicely sized to support our logo design. Again thank you all so much. I like it that when we have an idea you guys can always make it happen. We've had great feedback from it.